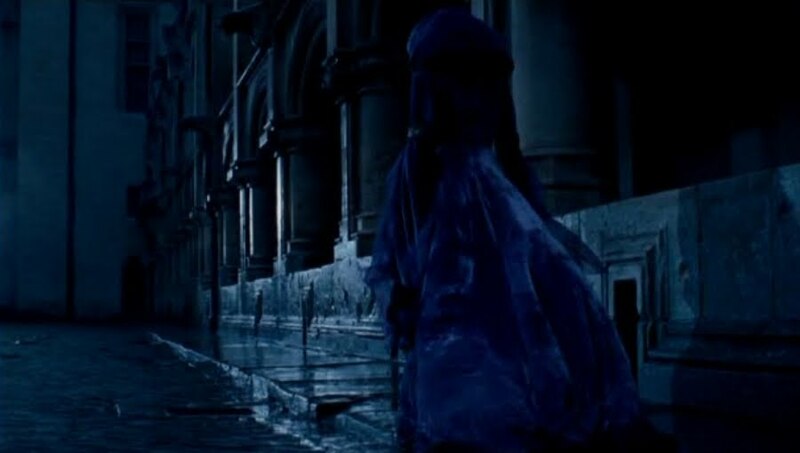 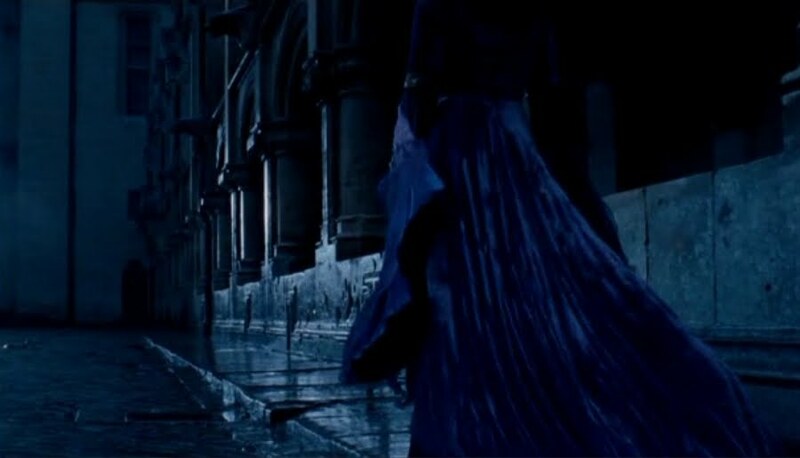 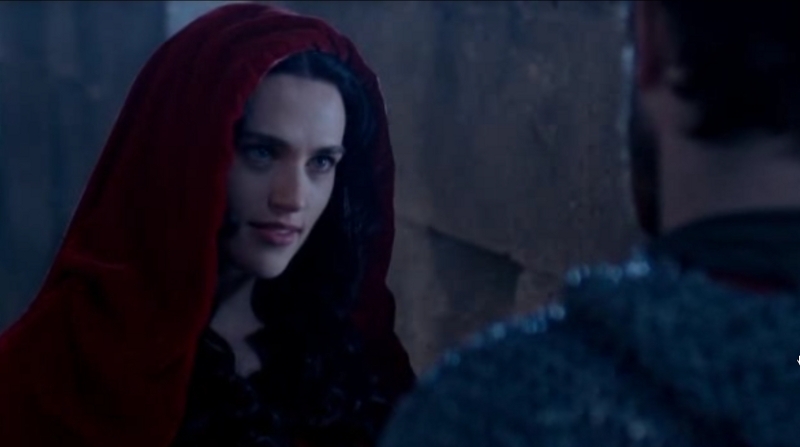 And who is Morgana off to meet? The sorceress Morgause (Emilia Fox), of course. 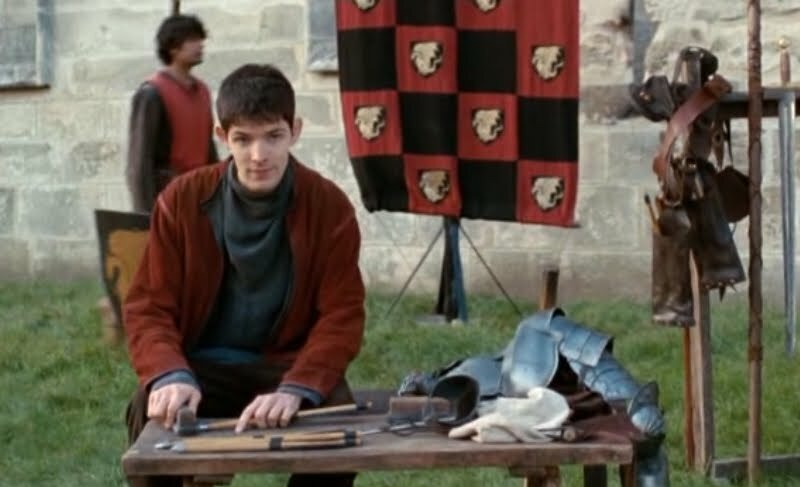 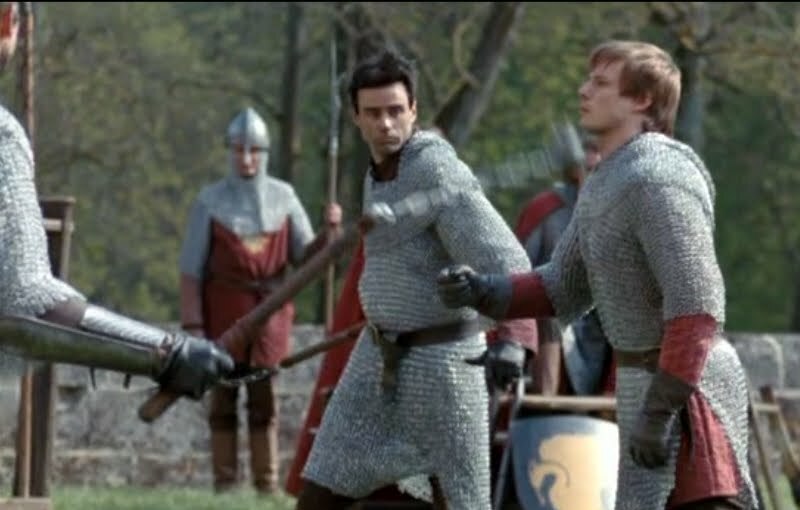 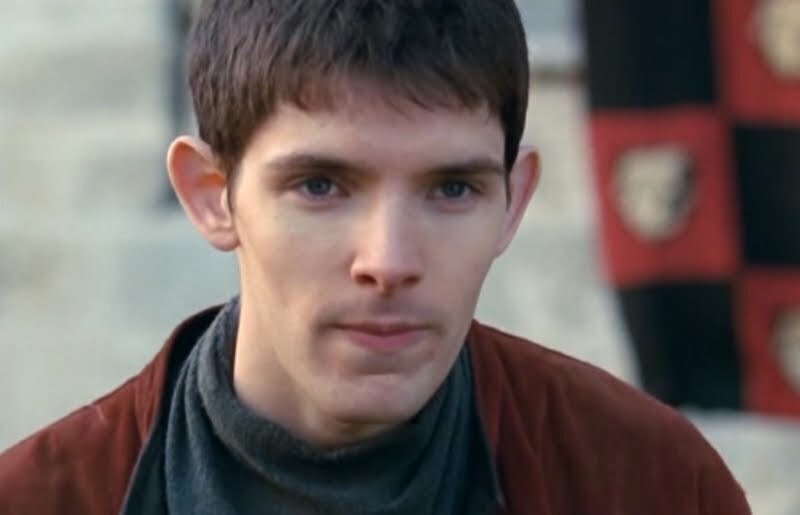 Meanwhile, Merlin (Colin Morgan) observes as his master Arthur (Bradly James) shows off his sword-fighting skills. 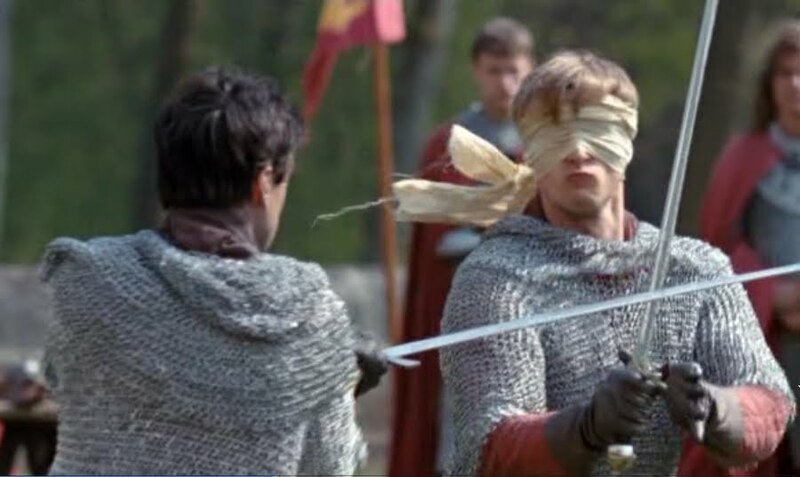 As usual, the prince makes fun of Merlin's lack of fighting, not knowing that Merlin has saved his arse a million times already. 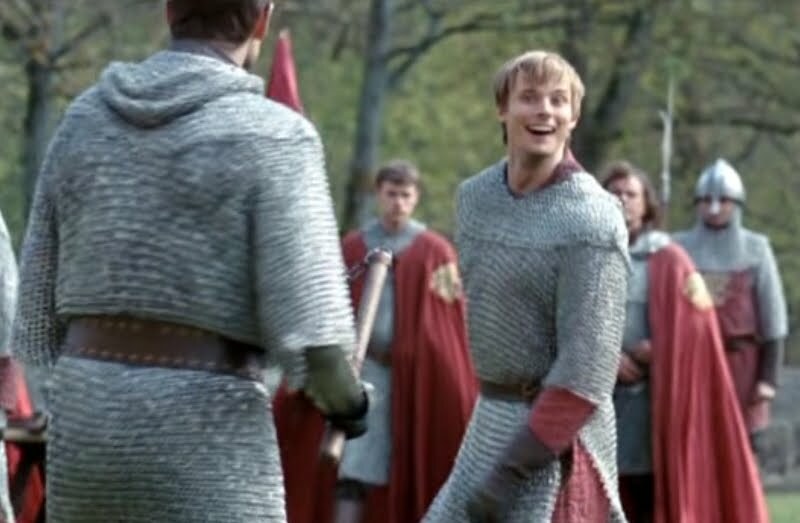 Laugh while you can, Arthur. 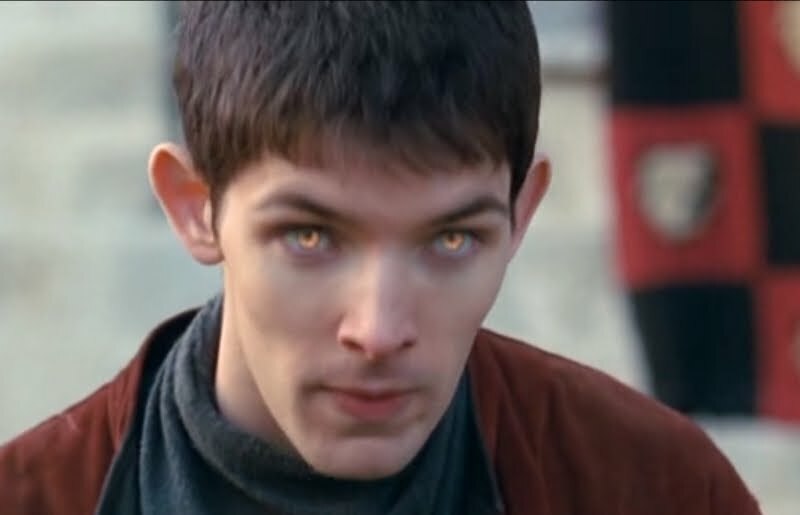 It's not wise to taunt a warlock. 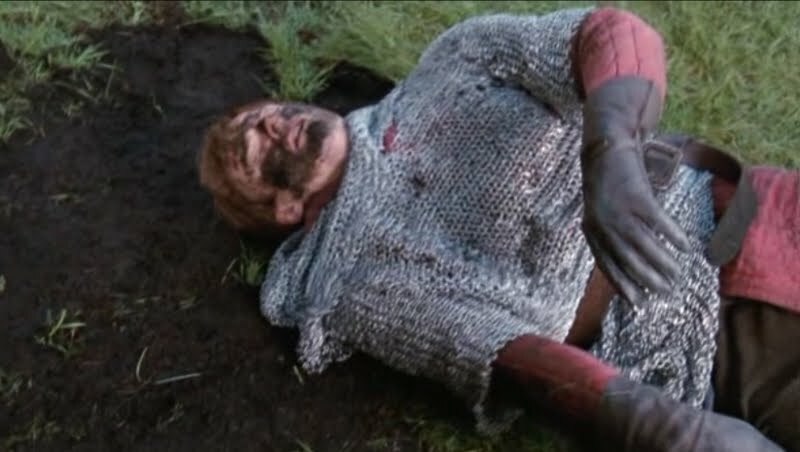 Oof. 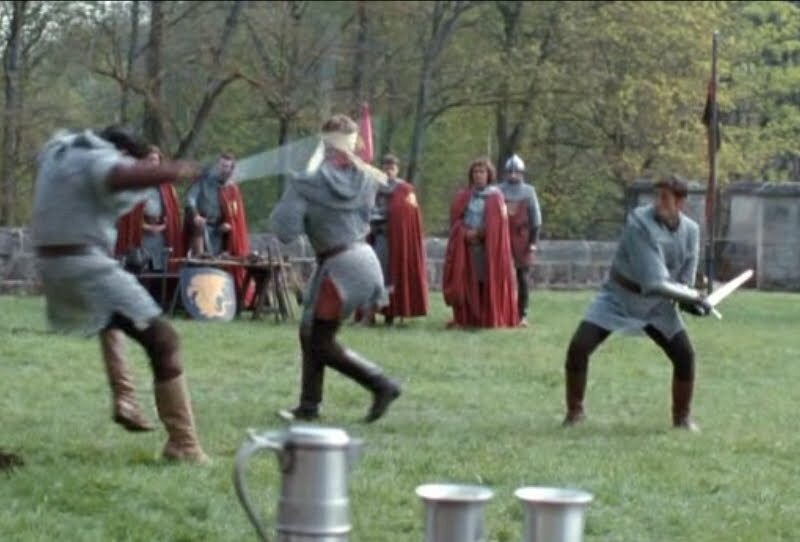 Sword gone, opponent gets you right in the stomach. All is right in the universe. 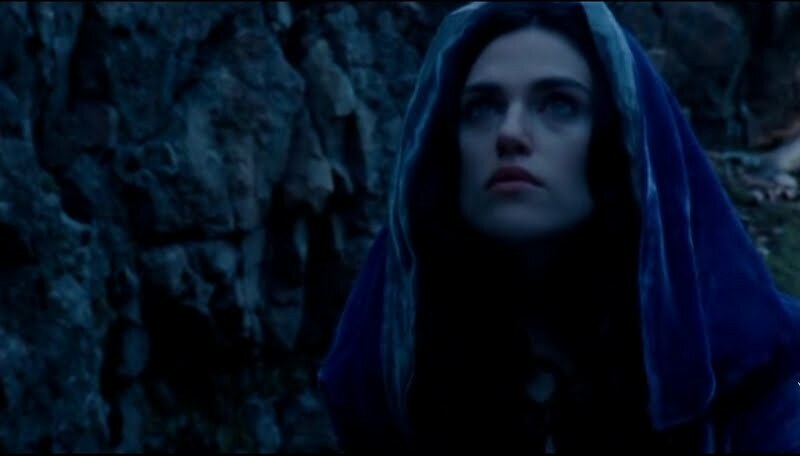 But of course we know Morgana's just going through the motions. 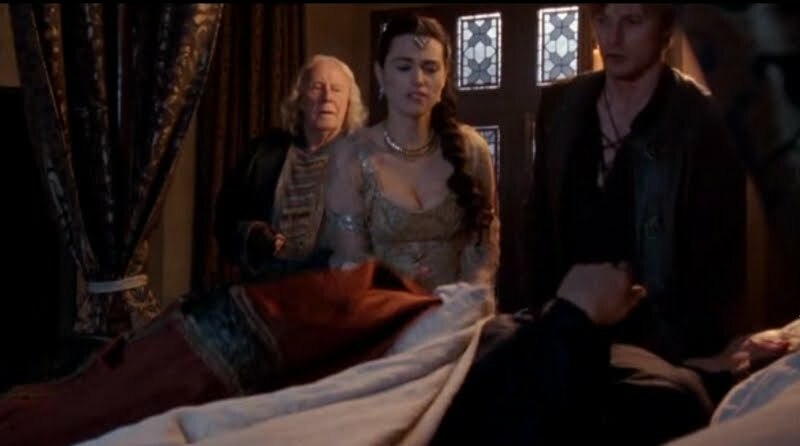 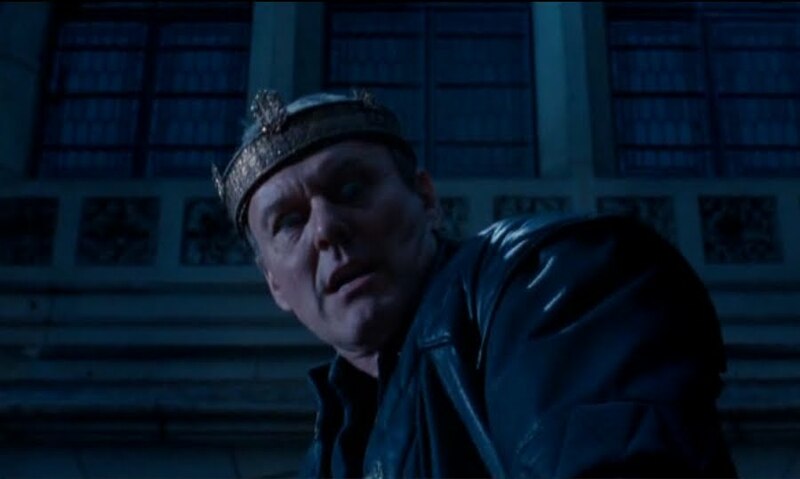 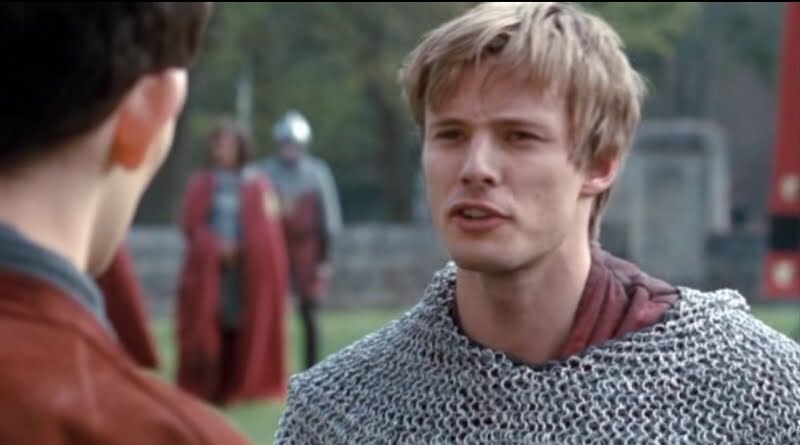 Uther breaks down in the courtyard, and the guards bring him inside, where Gaius (Richard Wilson), Morgana, and Arthur fuss over him. 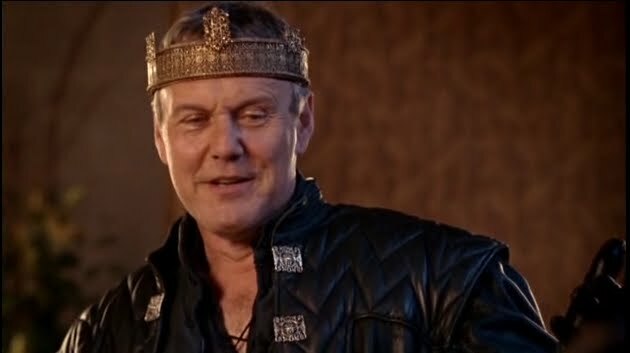 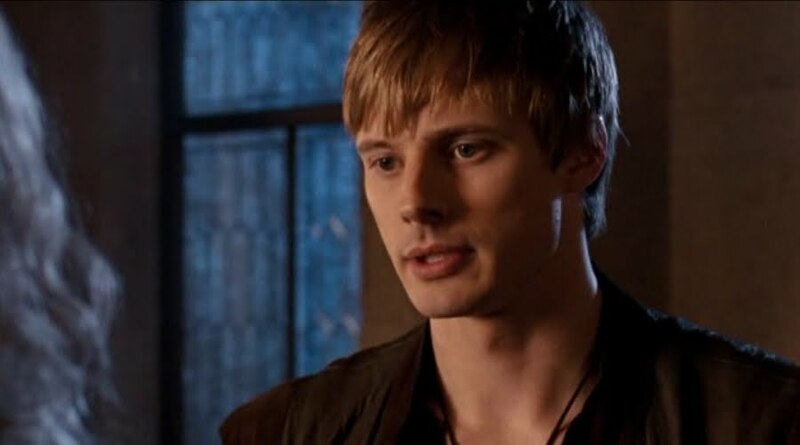 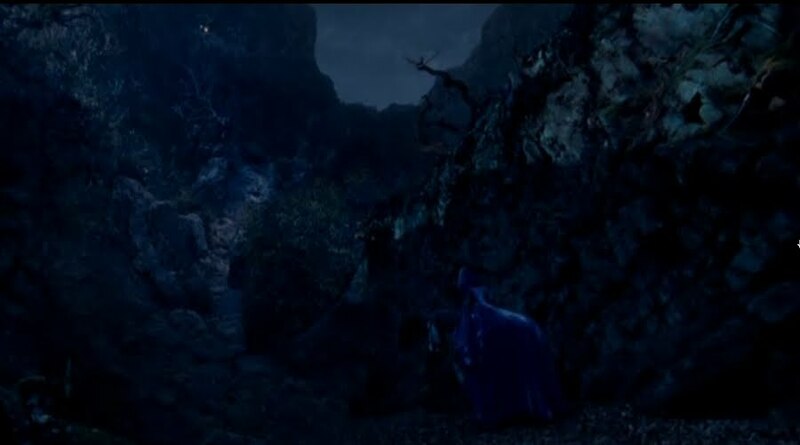 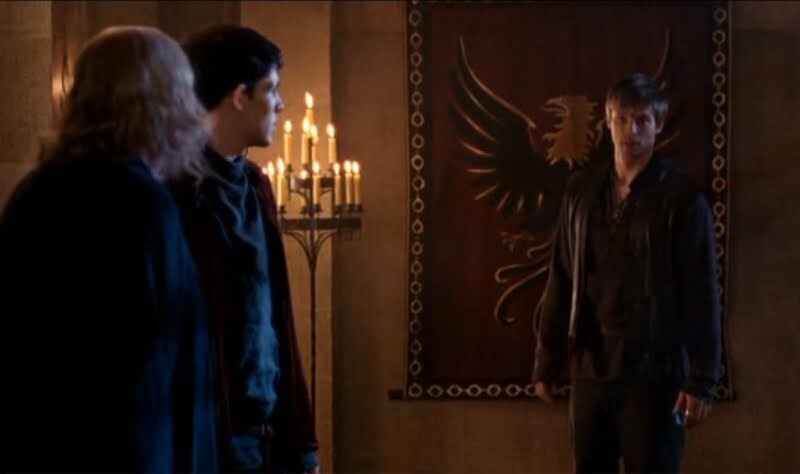 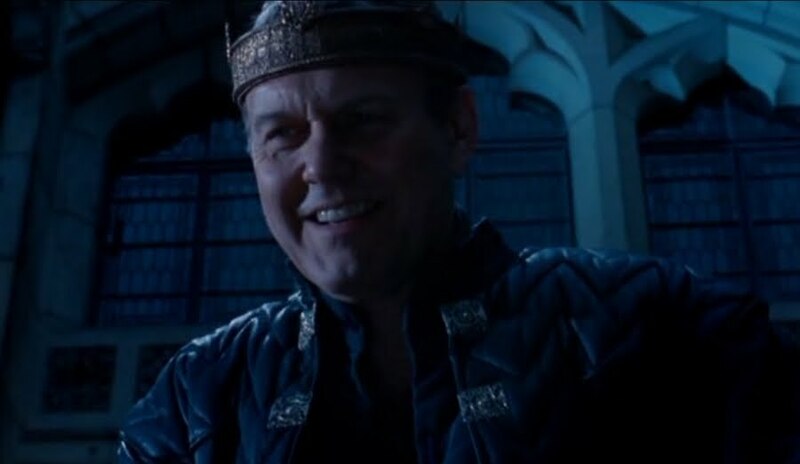 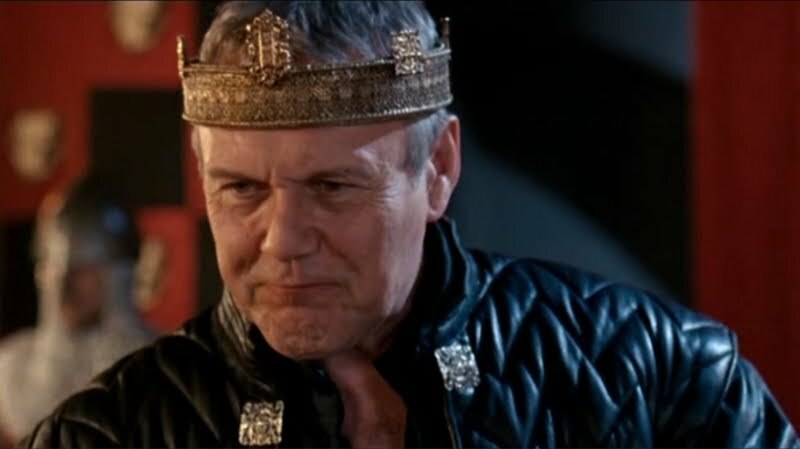 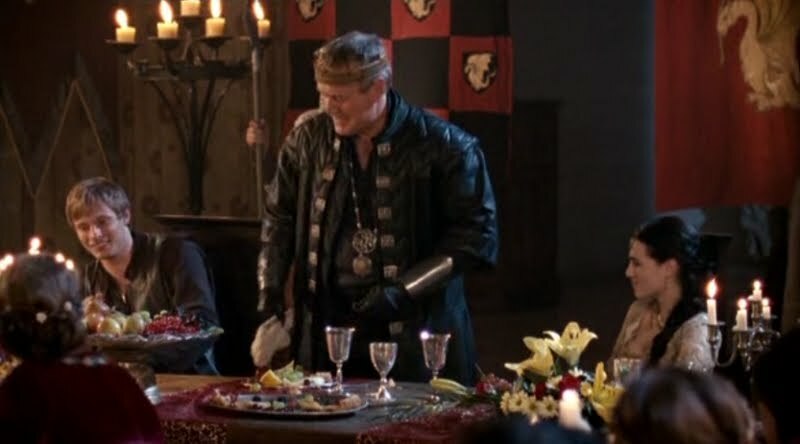 Gaius confesses that Uther was talking about seeing Arthur's mother...in the well. 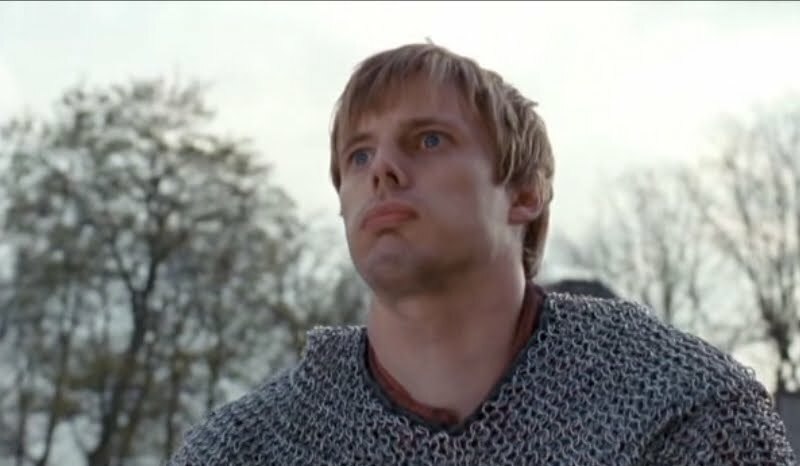 Arthur is disturbed, and fears the people will get wind of his father's condition and all hell will break loose. 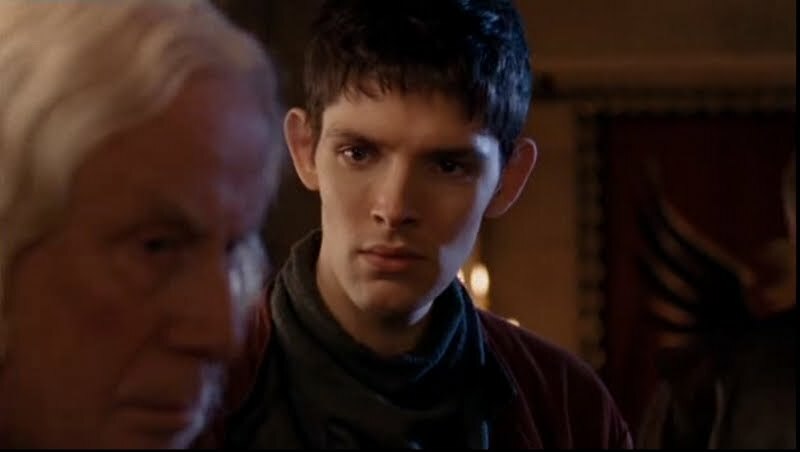 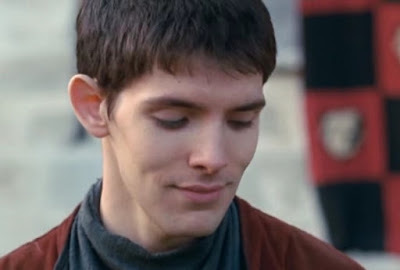 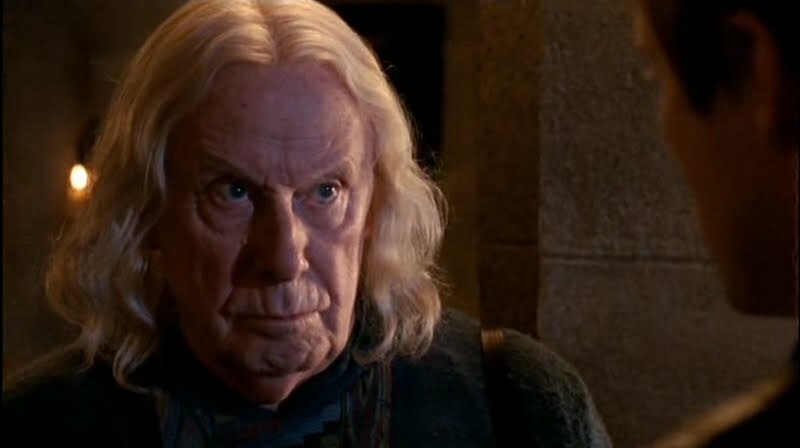 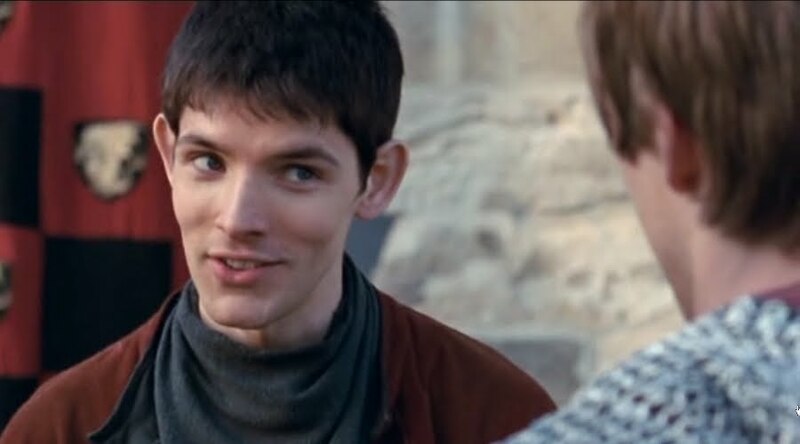 Gaius assures him that the people will merely think the king had been will and he's better now. 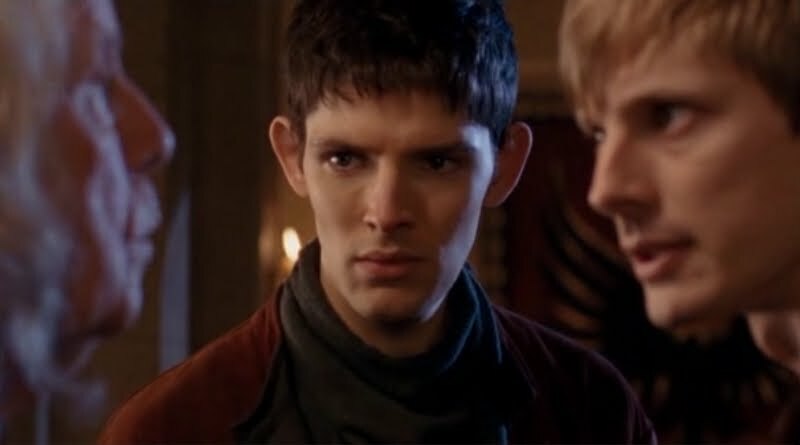 Neither Merlin nor Arthur look all the convinced. 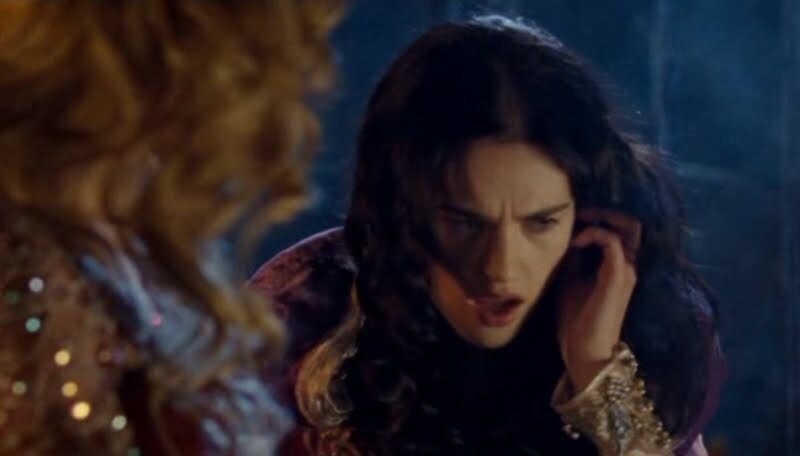 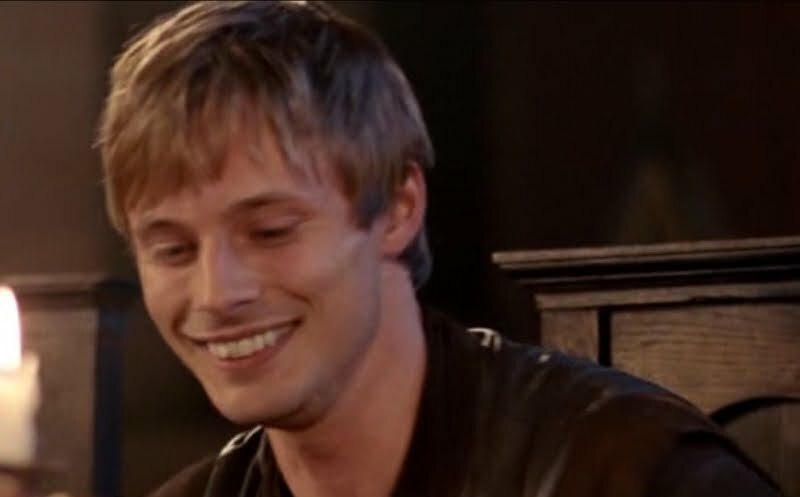 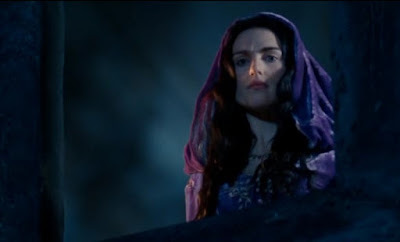 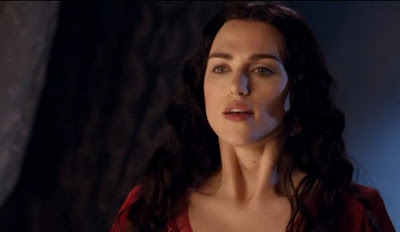 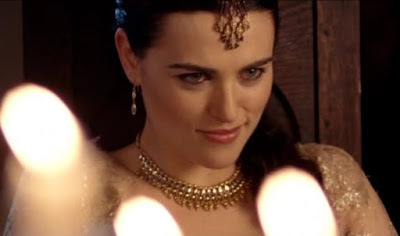 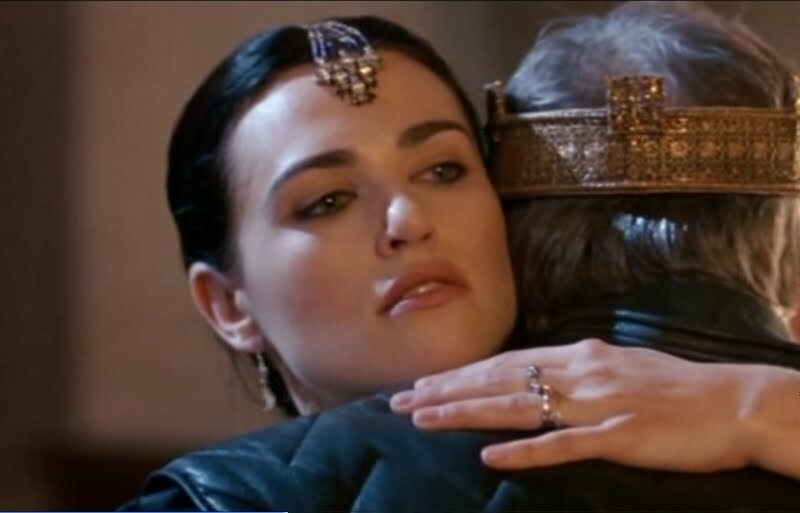 Morgana touches base with Morgause, and they rejoice over their plan to drive Uther mad and weaken the kingdom. 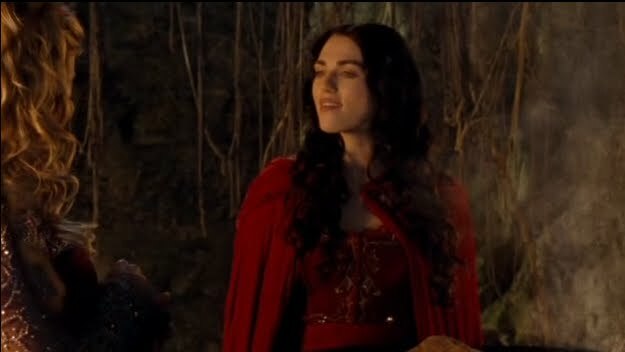 Morgause brags about her hold over Cenred, who will help them with their plan to overthrow Camelot. 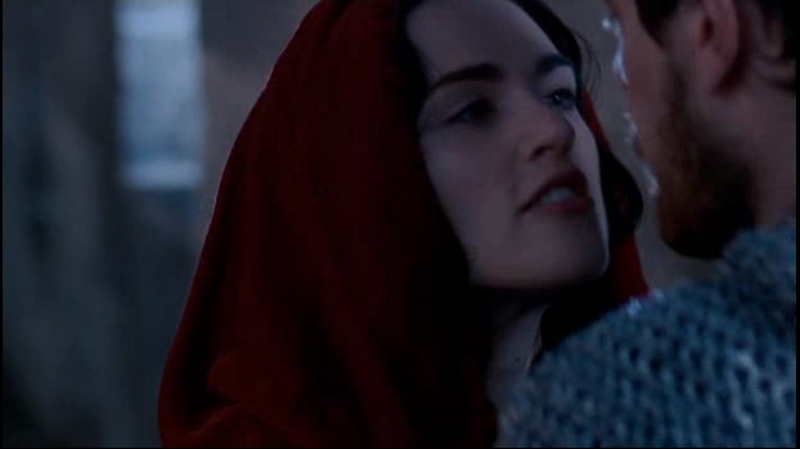 And so she kills him. Morgana is officially Evil. 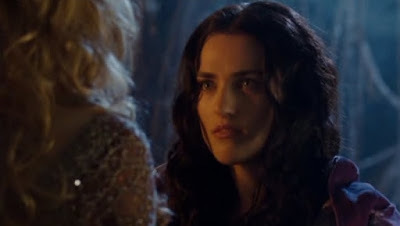 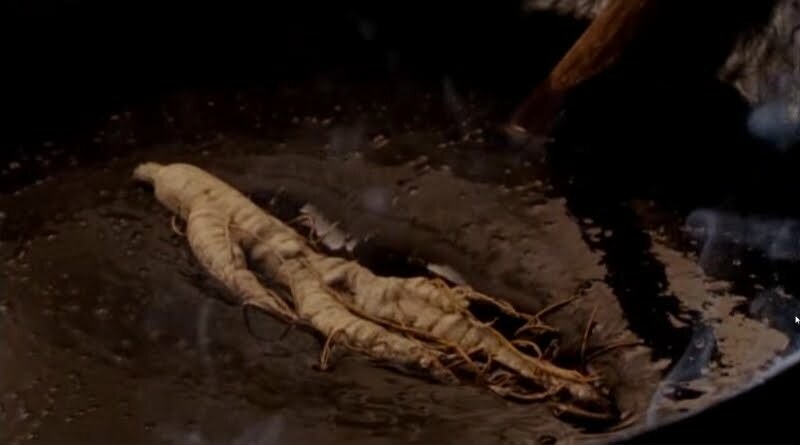 Morgana quickly hides the mandrake in her room, but almost gets caught in her muddy cloak by Gwen (Angel Coulby)--whom she sends away brusquely. 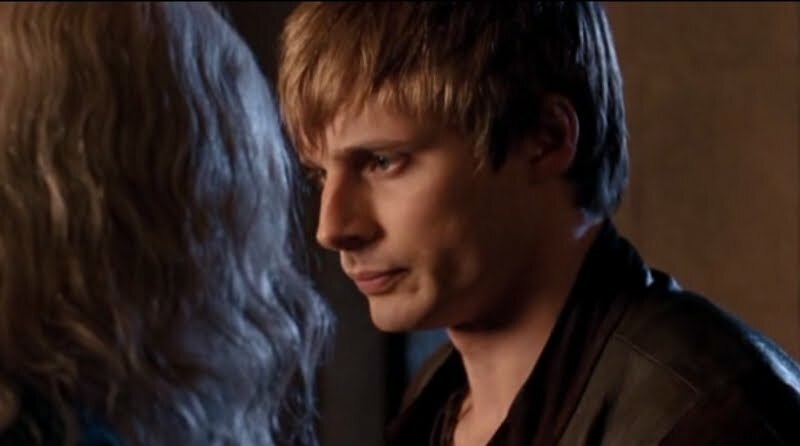 Nice screencaps! I've just spent the weekend watching season 2 again and it's been great to see it all in light of what happened in season 3. 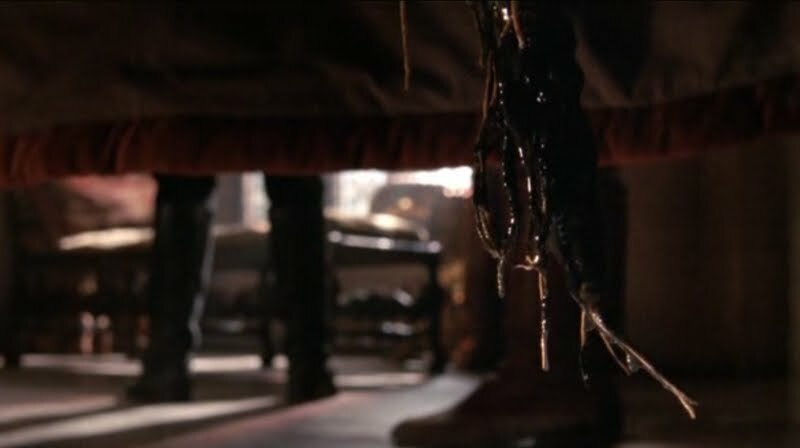 The final episodes of season 3 were amongst the best episodes I've seen on TV in years! Hi, would you like to write a movie review on behalf of my advertisers? Do drop me an email if you are interested..
Kathy Bates Elevates "Harry's Law"